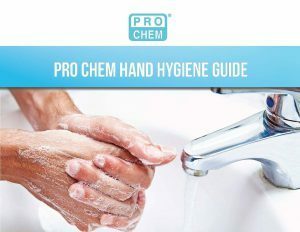 Varsity | Pro Chem, Inc. 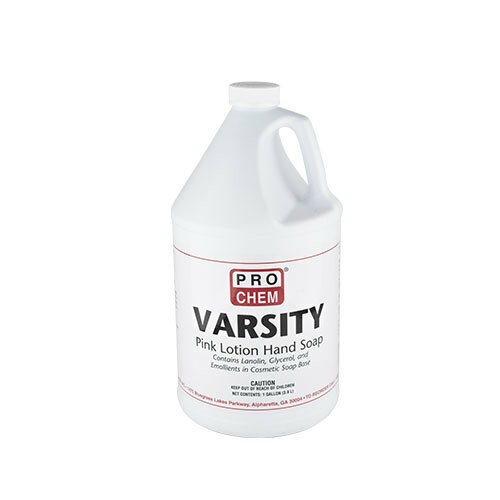 VARSITY is a lotion-based hand soap that leaves the skin soft and pleasantly scented. It also aids in reducing the danger of cross infection. This hand soap removes occupational soils and odors from the skin. It contains lanolin to help prevent chapping of hands. It is a light bodied and free flowing soap that will not harden, gel or solidify. Its controlled viscosity helps to prevent stoppages in dispensers. Recommended for use where individual safety and the health of others are of primary importance. Wet your hands and add VARSITY hand soap. Work up a good lather and then rinse hands with water.